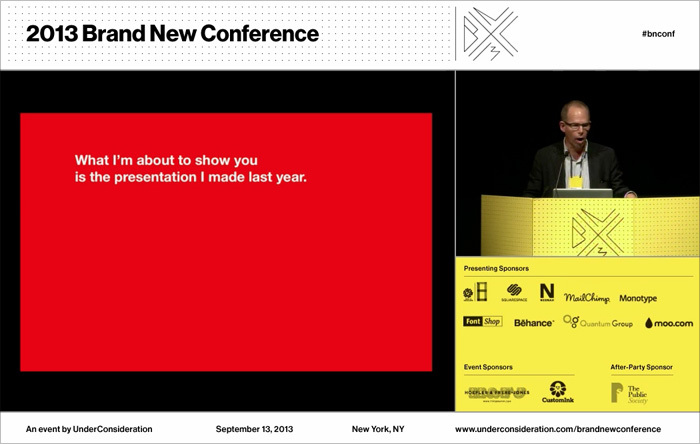 Many thanks to all who attended or streamed the 2013 Brand New Conference. It was a remarkable day and we appreciate the support of everyone from attendees to sponsors to volunteers. To give closure to this year’s event, here is a rundown of links of interest. 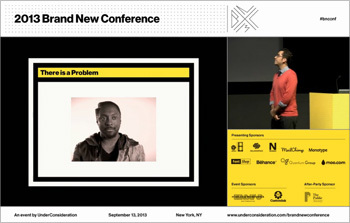 All videos of the conference are available for purchase as individual files to download as well as the complete set. The first 30 minutes of the conference, which include a roasting of the more news-worthy posts from Brand New in the previous 12 months to the conference. 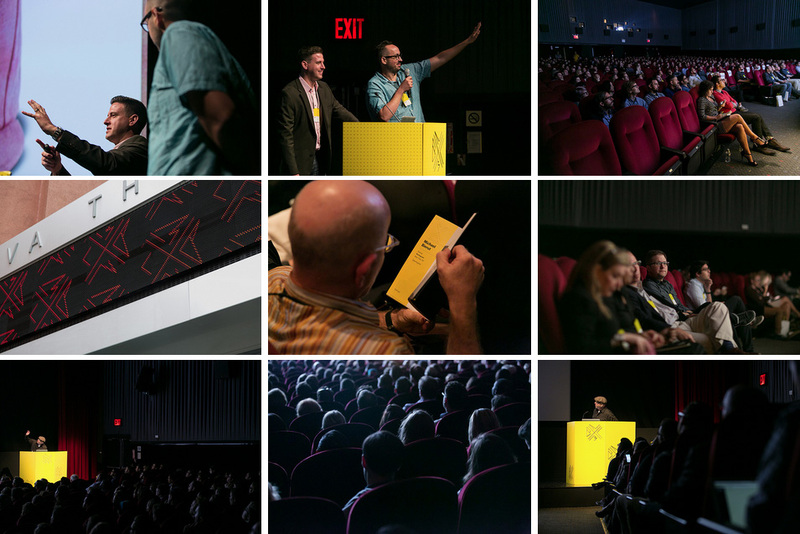 Photos of the event, from 8:00 am to 10:00 pm, by the indefatigable Andrew Ryan Shepherd. 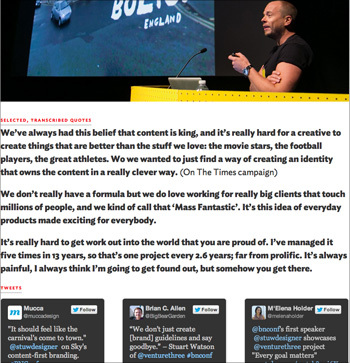 A selection of transcribed speaker quotes and a sampling of audience tweets. 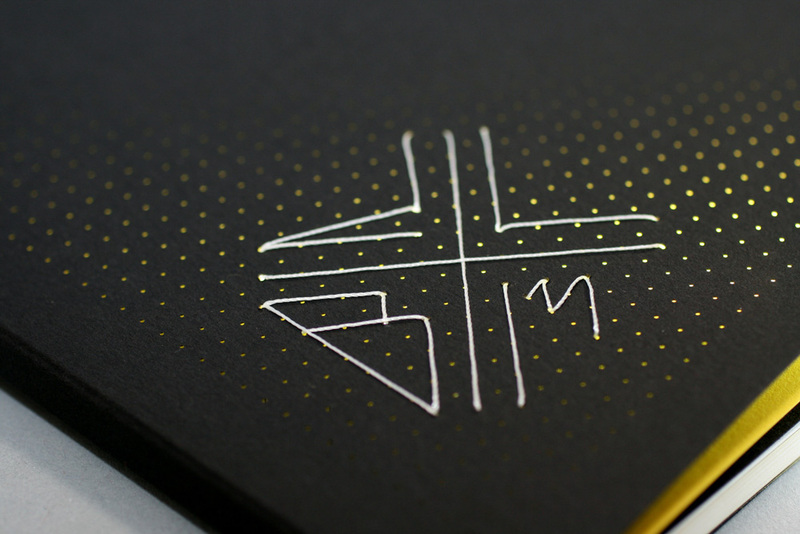 An in-depth look at the making of the logo, identity, and event-related materials we produced. 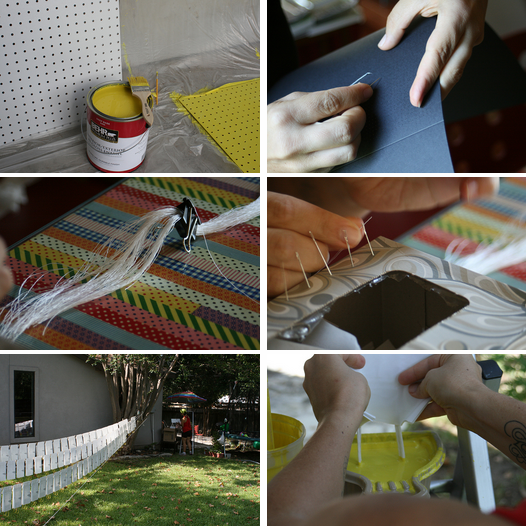 Some unglamorous shots of the making of the podium, sewn program covers, and hand-dipped goodies bags with yellow handles. 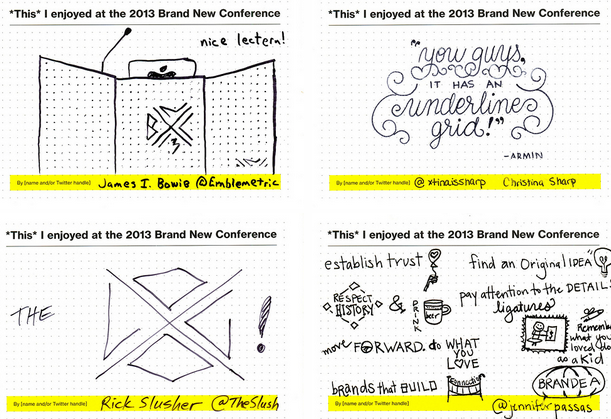 In each goodie bag, people got three postcards to sketch, doodle, or quote whatever they enjoyed at the conference. We collected some of them at the end of the conference and posted a selection in this Flickr set. 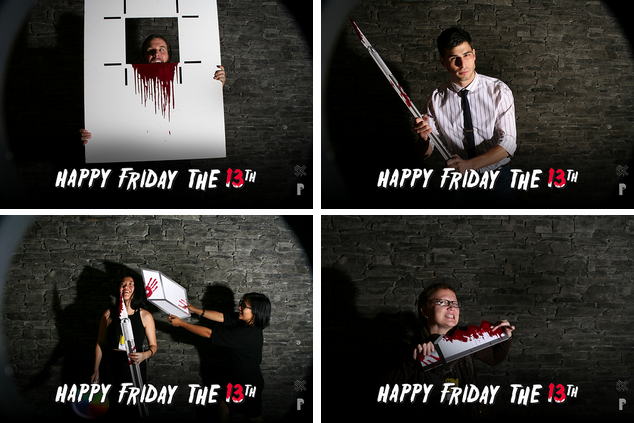 Our After-Party sponsors, The Public Society, set up a Friday the 13th-themed photobooth with gory design props.